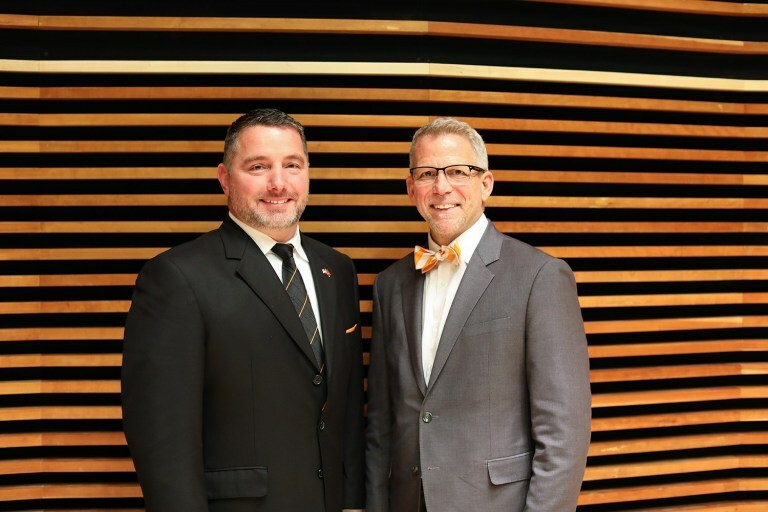 The University of Tennessee, Knoxville, School of Music has received a $3.14 million gift from Eric W. Barton of Maryville, Tennessee, a former Marine who went on to start several businesses serving the US Armed Forces in the Middle East. Barton’s gift will support several initiatives, including an annual visiting artist residency, which will give students the opportunity to meet and learn from a world-renowned musician during a week of clinics and performances. At 42, Barton credits his deep desire to learn as much as he can about everything he can for the divergent paths his life has taken and his appreciation for the value of education. Raised in Sandoval, Illinois, he enlisted in the Marines out of high school, earning his bachelor’s degree from Southern Illinois University while in the military. Receiving a meritorious commission, he rose through the ranks from private to captain, serving as both an intelligence officer and sniper platoon commander during his 11-year career. After the Marines, Barton found his niche in defense contracting, where he began as a project manager in Baghdad. He started several defense contracting companies based in East Tennessee. He is the recipient of the Blount Partnership’s Large Business of the Year and Philanthropist of the Year awards in 2014 and the Knoxville Chamber’s Entrepreneur of the Year award in 2015. Barton’s Knoxville-based company, Vanquish Worldwide, provides contract support services to multiple US military bases as well as secure logistics in Afghanistan and the Middle East. He also owns the Tennessee Veterans Business Association, which hosts an annual veterans’ job fair each January. In addition to his business savvy, Barton has earned an MPA in knowledge management, an MBA, and a Master of Divinity. In 2016 he earned his doctorate in business administration in leadership. He is the proud father of five children ranging in ages from 16 to 25. As UT Knoxville, aspires to become a preeminent institution, the $1.1 billion Join the Journey campaign is helping to position the university among the nation’s elite. The comprehensive fundraising campaign focuses on increasing support for undergraduate scholarships, graduate fellowships, faculty support, college priorities, and athletics. The funds raised are creating a student experience that reaches beyond the ordinary, shaping the next generation of leaders for the state, nation, and world.